Happy Anniversary to the Baltimore Comic-Con! Golden & Texeira join the Celebration! Baltimore, MD-- Happy Anniversary to the Baltimore Comic-con, as this weekend, one of our favorite shows celebrates it's 11th year of bringing the comic book industry to the Baltimore/Washington area!! And joining the celebration, and the throng of creators hopping on/in trains, planes and automobiles to get there, will be aritst/writer Michael Golden and painter supreme Mark Texeira! Comic's creator Michael Golden is known for his stellar storytelling through the comics industry, most notably on such books as Dr. Strange, The 'Nam, G.I. Joe, Marvel Fanfare, Bucky O'Hare, Spartan X, and much more. His covers was recently provided the prime frontage on such books as "Spiderman 1602," X-men, The Hulk, Demon's Regret, Wonder Woman... you name it. And he has even inked a few pages over long time friend, and amazing artist, Neal Adams on his recent Batman project. Several surprises are in the works for fans of Golden's covers and storytelling, so be sure to get on his official mailing list by contacting his agent at evaink@aol.com. 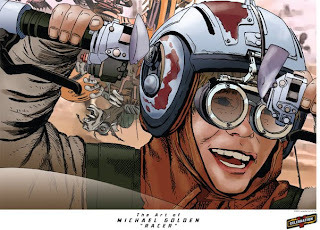 While at the BCC, Golden will be signing and sketching as time allows and will also have copies of his new comprehensive art books "Excess: The Art of Michael Golden," and "Michael Golden's MORE Heroes and Villains," the newest in his book line. 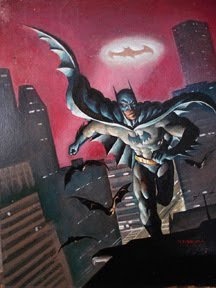 Fine art painter, Mark Texeira is equally know for his interior work as he is for his painted covers. When you hear the name of characters like Ghost Rider, Black Panther, MoonKnight, Sabertooth, Wolverine... you think of Tex! Recent covers have also been seen on "Terminal Alice," and his storytelling work has appeared at Wizards of the Coast. Mark is currently finishing up a Punisher mini-series that we'll be able to tell you more about shortly! Tex will be at the show all weekend, sketching and signing. He'll have copies of his new art book "Tex: The Art of Mark Texeira," written by Renee Witterstaetter and published by Vanguard Productions, as well as limited copies of his sketchbook "Babes and Brawn," and mucho original art. Stop on by and talk to our Eva Ink assistant, Constance about an original sketch while you are at it! Being held August 28-29th, the Baltimore Comic-Con is also the host of the august Harvey Awards, the industry's oldest and most respected awards. With a history of over 20 years, the last 4 at the BCC, the Harvey's recognize outstanding achievements in over 20 categories. They are the only industry awards nominated and selected by the full body of comic book professionals. This year's Harvey's will take place Saturday night with Key note speaker Mark Waid and hilarious emcee, Scott Kurtz. This year, Eva Ink Publishing will once again be donating to the event as a gift bag sponsor with a 2011 calendar (better to keep track of next year's BCC, ya know), as well as a signed collectable Spartan X trading card from Michael Golden. Joining Golden and Texeira at the Baltimore Comic-con is a HUGE list of talent, including: Mike and Laura Allred, Sergio Aragones, J.D. Arnold, Nelson Blake II, Ivan Brandon, Danna Bremer, Tom Brevoort, Rebecca Buchman, Buzz, Jim Calafiore, Eric Canete, Tommy Castillo, Bernard Chang, Howard Chaykin, Sean Chen, Cliff Chiang, Frank Cho, Mike Choi, Scott Cohn, Kevin Colden, Steve Conley, Amanda Conner, Keith Dallas, Shane Davis, Todd Dezago, Alex Eckman-Lawn, Ian Edginton, Steve Ellis, Rich Faber, Fillbach Brothers sponsored by Laughing Ogre Comics, Ramona Fradon, Francesco Francavilla, John Gallagher, David Gallaher, S.L. Gallant, Jose Luis Garcia-Lopez, Ron Garney, Sterling Gates, Kate Glasheen, Bryan J.L. Glass, Mike Gold, Dan Govar, Jimmy Gownley, Randy Green, Brad Guigar, Gabriel Hardman, Tony Harris, Dean Haspiel, Marc Hempel, Jonathan Hickman, Greg Horn, Jason Horn, Adam Hughes, Jamal Igle, Klaus Janson, Georges Jeanty, Van Jensen, Dave Johnson, J.G. Jones, Denis Kitchen, Barry Kitson, Rich Koslowski, Jason Kruse, Scott Kurtz, Jason Latour, Greg LaRocque, Erik Larsen, Norman Lee, Jay Leisten, Steve Lieber, Joe Linsner, Luna Brothers, David Mack, Mike Maihack, Clay Mann, Laura Martin, Ron Marz, Todd McFarlane, Mark McKenna, Mike McKone, Bob McLeod, Carl Speed McNeil, JD Mettler, Pop Mhan, Terry Moore, Mark Morales, Chris Moreno, Chip Mosher, Sean Murphy, Jamar Nicholas, Steve Niles, Phil Noto, Denny O’Neil, Ryan Ottley, Jimmy Palmiotti, Dan Panosian, Jeff Parker, Andrew Pepoy, Lauren Perry, David Petersen, Brandon Peterson, Matthew Petz, Chris Pitzer and Adhouse Books, Paul Pope, Eric Powell, Brian Pulido, Jack Purcell, Mike Raicht, Tom Raney, Rico Renzi, Chris Roberson, Andrew Robinson, James Robinson, Dave Rodriguez, Budd Root, Don Rosa, Craig Rousseau, Stephane Roux, Jim Rugg, Filip Sablik, Tim Sale courtesy of Hero Initiative, Stuart Sayger, Bob Schreck and IDW, Tom Scioli, Jim Shooter, Louise and Walter Simonson, Allison Sohn, Andy Smith, Brian Smith, John K. Snyder III, Val Staples, Richard Starkings, Jim Starlin, Chris Staros, Brian Stelfreeze, Paul D. Storrie, Karl Story, Dirk Strangely, André Szymanowicz, Billy Tan, Nick Tapalansky, Ben Templesmith sponsored by Laughing Ogre Comics, Richard Thompson, Bobby and Peter Timony, Bob Tinnell, Herb Trimpe, Dean Trippe, Timothy Truman, Billy Tucci, Ted Tucker, Dexter Vines, Neil Vokes, Doug Wagner, Matt Wagner, Mark Waid and Boom! Studios, Mark Wheatley, Mike Witmer, Charles Paul Wilson III, Ron Wilson, Renee Witterstaetter, Marv Wolfman, John Workman, Bernie Wrightson, Kelly Yates, Chrissie Zullo …and more to come! This show is always jam packed and full of surprises! And, with a location as easy to get to as Baltimore, how could you NOT be there! I was a fan of Roy G. Krenkel, long before I even knew who he was, it seems. So, how did Krenkel allude me for so long.... I'm not very sure... not for lack of not trying to discover him I assure you. As a kid, I probably spent more time in the library than I did at home!! Either there, or catching insects in the woods, that is. However, fresh out of high school in my home town of Texarkana, Texas, newly in college, and with a set of friends very much into fantasy art and the books of Robert E. Howard, I was convinced by said friends to traverse the long miles to Dallas, Texas (okay, only three hours, but in those days that seemed like half the world to me), and attend a convention called the Dallas Fantasty Faire. I think it was Patricia, John (aka Zero), Teresa & Steve and Steve and myself, all loaded up in one truck as I recall! A cooler of sandwiches and soda, and road trip ensued. And I'm glad it did! In some ways, this crazy trip led to the path I'm on now, the path my life naturally took-- working with artists, writing books, agenting talent. This was kinda the start of it all. Through the Dallas Fantasy Faire, I met so many folks, many that would be my lasting friends like Jim Salicrup, Steve Saffel, Dave Stevens, Mike Kaluta...met many folks that would cross my path in life later again, such as Stan Lee, George Takai, Mike Zeck, Tom DeFalco, Larry Niven, and the list goes on and on... I worked for the DFF doing public relations for 2 years following college too, and this directly led to working in comics, and then film. One door leads to another as I always like to say. But more on this one: You know when you stop at one of those all you can eat buffets, and you wonder briefly how long the foods had been sitting out, and then you convince yourself that it's probably okay. Well.... it seems at the end of the aforementioned road trip, my crew and I decided to stop and have Chinese food at just such a place. I can't remember the name. My brain has mericfully blocked it, and it's probably long since been shut down by food inspectors anyway!! It was also at this same show where I discovered original art, and that you could actually BUY it and have it for your very own! ... sometimes for a pretty reasonable sum. Even then, a novice, I knew what I liked, and I liked THIS! The beauty, the elegance, the storytelling attracted me to RGK's work even then. And it stands the test of time. So, reading the humble interview below, reminded me of my Krenkel piece, and the joy of discovering this amazing, oft forgotten talent. It's a glimpse too into the isolation that is often an artist's life. We look at their work and are inspired to see landscapes of wonder in our minds, from pieces often created in the isolation of one room. It reminds me of when I tell people that I work on film crews, and they imagine that as being glamorous. And I burst that bubble by relating, that no, it actually involves 20 hour days, 4 hours of sleep, during which you get to sit down for 30 minutes to eat. It can be fun, rewarding, but no glamor involved. Sorry. The life of an artist has at times seemed the same way. The end result is magic. The process of getting there, sometimes no so much....reality as part of the fantasy. All I can say is, if you don't know Krenkel's work, you should go out and discover it, now!! He's one of the ones who paved the way in fantasy illustration for many working today, and one of my favorites. Among the many creators interviewed over the years by comics historian, enthusiast and publisher Russ Cochran was the artist Roy G. Krenkel, an illustrator sadly overlooked by many modern fans. In addition to other work, Krenkel, a Hugo Award-winning artist, created the covers for more than 20 Edgar Rice Burroughs and other genre paperbacks. Roy Gerald Krenkel was born in the Bronx in 1918, and lived in the New York area his entire life except for a short stay in the Philippines during World War II. He grew up reading the stories of Edgar Rice Burroughs, Talbut Mundy and Robert E.Howard. asked him for assistance in backgrounds for some of the EC science fiction stories that Al was illustrating. His doodles and drawings were published in the fanzine AMRA where Ace editor Donald Wollheim saw them. When Wollheim (Ace) started publishing the Burroughs series in 1962, he naturally thought of Roy Krenkel for the illustrations, in the St. John tradition. I first met Roy at a comic convention in New York in the mid 1960s. My first impression was that he was somewhat eccentric although nowadays he would not seem so at all. He wore white tennis shoes with slacks and a sport coat, had wild white hair and was always ready to engage you in one of his famous animated conversations. He was very interesting to talk to; watching his expressions change and listening to his voice and watching him wave his arms and gesticulate magnificently. I immediately took a strong liking to him, and we talked many times over the years as we would see each other about once a year at Phil Seuling's Comic Art Convention. I visited him in his home in September of 1978. Following Roy's directions, I drove to his home and pulled up in front of an older house in a middle-class Long Island neighborhood. All the yards were neatly kept, except one: Roy's. It had a Graham Ingels atmosphere: the house did not look lived in and grass and weeds in the front yard were knee-high. I knocked on the front door...no answer...and then noticed that the front door was nailed shut from the inside. I went around to the side door through the knee-deep weeds and tried again. Soon, Roy appeared at the door and greeted me. Cochran: When did you first encounter the writings of Edgar Rice Burroughs? Krenkel: I think I was about nine or ten years old, something like that, and Ihad a friend, Earl Kridlen. Through him and his brother, Ed, I read my first Tarzan book, Tarzan and the Golden Lion.... I remember that it was the old yellow-covered first edition. It was the first time I saw St. John, and while I kinda liked Burroughs, I just flipped over St. John. It was some of the first actual reading that I did. More than any other single factor, seeing this book and this St. John artwork led me into fantasy and later into science fiction. Then I started to read Amazing Stories and gradually discovered all the rest. The thing that stuck in my mind about the book, though, was those pictures. I didn't know a thing about "art"at the time, but, God!, the sense of wonder and other worlds, and the segiant men walking around full of muscles and all that crap...wonderful! The pictures led me into reading the books more avidly...and I recall being highly disappointed that there were no pictures in some of the Burroughs novels. The stories were pretty damn good, but secondary to the pictures. Cochran: How did you meet Frank Frazetta? Krenkel:Al Williamson introduced me to him. I'm not sure when the exact first time was...I either met Frank in Al's company, or perhaps Al and I went over to Frank's house in Brooklyn. This would have been during the early 1950s, when Al was working at EC and we would occasionally help him out with a job. So, we became acquainted, and started to discuss nonsense of one kind or another. He wasn't called The Great Frazetta in those days...but we were all awed by his talent. He could do anything! And we knew him for a couple of years before we knew about his background, and of little things like the "Snowman" and the funny little animals that he did in comic books. We knew that he was doing"Dan Brand"...at the time we met, he was just starting to futz around with Dan Brand. Of course, he was influenced by Foster then, and at times he was the equal of Foster. We were impressed! In fact, in those days, the only thing Frank wanted to do was to quit drawing and go out and play baseball. Later on, he got married, and about the only thing he really wanted to do was to quit the drawing board and go out and play baseball! At the age of thirty-five, all he wanted to do was to quit and go out and play baseball! (laughs) And that's Frank! Cochran: Do you think that he just has such a gift that he can only turn it on at certain times, and if he tried to work twenty-four hours a day, it wouldn't come? Krenkel: That's what he always said. I leaned on him for years, and it got to be a running gag between us: "Goddamn it, Frank, don't you want to kill them all? Don't you want to make them break all their pencils?" And Frank would say, innocently, "I don't want to kill anybody. Why should I want them to break their pencils?" Typical. To give a more serious answer to that question, he is probably right. Looking at it as an older person now, I think he's right. Doing his kind of thing at his own pace when he damn well felt like doing it is probably a very big part of Frank's success.He wouldn't be him if he tried to force it, or just be clever. When it's clever time, you be clever, and when it's knock-it-out time, you knock it out. 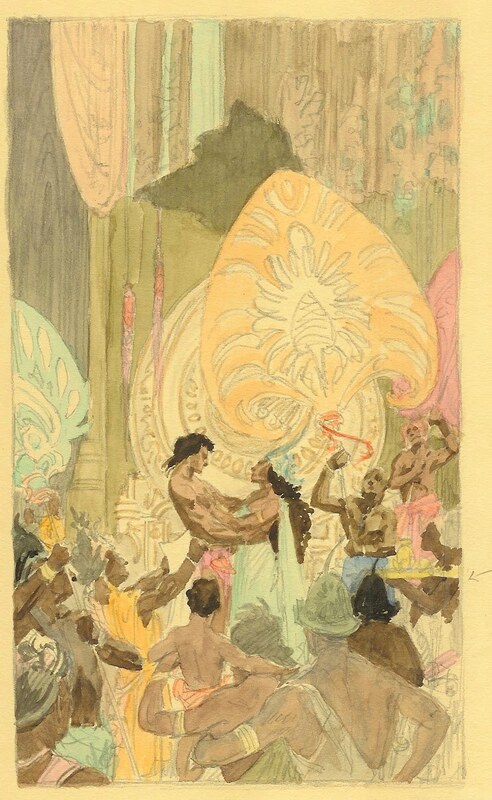 Cochran: How would you compare Frazetta and St. John? Krenkel: To me, St. John was the great Burroughs illustrator. When Frank does an illustration it is basically an illustration, whereas St. John hovered in the "picture" area. St. John's actions were not realistic in the sense that Frank's are realistic. Frank's are carried to the height of action, whereas St. John would do impossible things. One that comes to mind is of Tarzan hurling an arrow in the mouth of a lion. The lion is about four inches away from the arrow. If Tarzan ever got into that position, both he and the lion would fall down in a heap, but it made a beautiful "clump", it made a nice picture. Frazetta, and Foster, had a style that was strictly real, almost a photographic stop-action correctness of action. Frank and I have argued this point endlessly.Frank didn't always approve of St. John's actions because there was not enough tension, and St. John didn't play the muscles up when he would strain. Frank would say, "Now, the entire body would surge this way and that way as he did this or that"...well, true, but St. John was doing it from a different point of view. Personally, since I grew up on St.John, it is natural for me to think of St. John as The Man. Also, there was an atmosphere of innocent mystery and wonder in St. John's work which is not in Frank's...and, it wasn't in Foster's. Foster had no mystery...Foster was just there. But, St. John's interpretation fit Burroughs' writing. For instance, in Burroughs' jungles, and in St.John's depictions, there were no bugs. If a snake bites you, it's either completely venomous and you drop dead, or you recuperate.There's no in between, you never suffer and die a lingering death. This is sort of a clean jungle, there are good guys and there are bad guys.With Frazetta, there are overtones of the reality of the world. His world is more brutal, more sensual. You can get hurt in Frank's world. You get bopped, and you're in trouble, whereas with St. John, Tarzan would just tap you on the head and you'd gently fall asleep, then recuperate and wonder what happened. Cochran: Is this because St.John was raised as a well-to-do boy in a very genteel society, and Frank was raised in Brooklyn and had to be tougher? Krenkel:I don't think so. St. John was doing his level best to do a jungleman...pretty much like I would, not so much a real man in a real jungle,but a chance to do a graceful, beautiful figure and light it properly and then hang a label on it, like, "Tarzan leaped to the left", or whatever. Frank is interested in capturing a character and the event and doing it beautifully, but from a different point of view. Foster was trying to cinematize the whole thing, and he had plenty of imagination, but it was straight stuff...you could believe Foster's Tarzan. Frank and I often argued about who was better in depicting Tarzan, St. John or Foster. He'd plunk for Foster, and I'd plunk for St. John, only on the basis of personal preference, because it was more romantic. I had to admit that Foster really captured Tarzan and made him real. In that sense, Foster did the definitive Tarzan...he had everything! But St. John was a damn fine picture-maker. Cochran: Where do you place Roy Krenkel in this continuum? Krenkel: I just had fun with it, when I could. When it wasn't a chore, I had fun with it. I enjoyed doing it when it worked, and when it didn't work, I screamed and ranted. Cochran: In the middle 1950s, you did some work for EC, mostly helping Al Williamson. Then in the early 1960s, you started doing the Ace paperback covers for the Burroughs novels. What did you do in between these times? Krenkel:I have been asked that before, and, frankly, I don't know. I was probably just putzing around, doing whatever I felt like doing,learning this and that, and, as always, collecting. Cochran: When you got your first assignments on the Ace covers, how did Don Wollheim first contact you, and how did he know about you and your work? Krenkel: I think he saw my stuff in the fanzine AMRA, and he liked it. He called me and one or two others. He didn't know about Frazetta at that time.Frank was doing Li'l Abner then. Anyhow, I had done lots of pen and ink work but never anything at all in color, and, not knowing what I was up against, I thought, "Oh, sure...if you can do it in black and white, you can do it in color. "...the idiot statement of the year! So I did one or two covers which Don thought were acceptable. The very first one I did was for Planet of Peril by Otis A. Kline. It was pretty bad. I did the first few covers by myself, and then somewhere down the line, maybe the fourth one, if memory serves, I dragged Frankin to helping me with the difficult areas. Not so much with the idea, but the painting, which Frank could do and I couldn't. When he would help me, Frank's problem was to try and make it look like mine. It was very difficult for him to attempt to confine himself to my rigid, dull style at that time. Frank would paint the hair, and work out how lighting would go across a face, or a hand, he picked up the color...little details, highlights. He knew just how to "pop it." When I would get to an area that I was unsure of, and didn't want to kill the thing at that point, I'd say, "you'd better take it, Frank." And, he would dutifully try to keep it as rigid as the rest of the damn stuff.I didn't know, for instance, how an eye would go when the head was tipped down. I couldn't figure out where it would be dark and where it would be light. Frank knew all this, and he had great control, which I didn't have. I was pretty sloppy in those days, and am getting sloppier now. He did all that stuff with great sighing and moaning, naturally.He'd say, "Oh, God, you can do that. Surely you can do that!" And I'd say, "No, Frank. I'm afraid of it." Cochran: When you would deliver a painting to Ace, would you give credit to both yourself and Frazetta...and is this how Frazetta got a crack at doing some covers on his own? Krenkel: After the first few, I kept saying to Wollheim, "You gotta get this guy Frazetta!" They were reluctant at first because his background was comic books...as soon as they heard he was a comic book man they'd look at him ten times more critically. It was an uphill battle to convince them that comic men are artists, they wouldn't believe it. Finally they gave him some work, and after that it was clear sailing for him. Cochran: Do you consider yourself more of a pen and ink man than a paint man? Krenkel:Yes, especially at that time. Now, I'm trying to push out in other directions, but at that time I was really good with pen and ink. But I was afraid of the whole idea of paint. Paint baffled me. I was scared of the damn stuff. Oddly enough, I wasn't afraid of the stuff when I first started; it was after two or three that I got more chicken as I got to realize what the problems really were. Frank was helping me, and doing paintings on his own by that time, and Frank always would go bang, bang, bang...no sweat, for him. He just sat down and did it. I finally got to the point where I was really inhibited. I hated to dothe paintings; mostly on account of I was afraid of them. Cochran: Did you and Frank always do preliminary roughs for your paintings?Krenkel:At first we did roughs on everything and got them approved. Often, theroughs were superior to the finished art. The roughs had more charm,more color, more everything. Then, finally, I gave up doing roughsaltogether. Frank would say, "The hell with roughing this thing...That'sdoing it twice! You know I can do it. They'll take the final paintingand like it...the hell with the rough!" And, it worked. Cochran: So, you don't do roughs anymore? Krenkel:Not unless I want one for my own use, but not as a procedure...because they always lose out anyhow. If you do a really good rough, the final is never as good. That's a let down, at least to the guy who did it, if not to the editor. There really isn't any need for it...Frank's been proving it now for years and years. So much for roughs. Cochran: How would you like to be remembered by Burroughs fans? Krenkel:Certainly nothing to do with the quality, the amount, or the enthusiasm I put into the work of doing Burroughs stuff. To this day I remain as much as ever a Burroughs fan...and a fan of Burroughs illustration. My happiest thought is getting away from doing it myself, and enjoying all the goodies the other guys have done. I love to see what the other guy has done, but I hate like hell to try to beat them at their own game. Cochran: Judging from all the doodles and sketches that you do, you must really like the material in Burroughs stories. Krenkel:I like the material, not so much in terms of the Burroughs mythos...it's a setting for nice little figure drawings and nice little compositions.In that sense, it's glorious. I view the whole scene as an opportunity to wander around doing what amounts to still-lifes, using little figures and backgrounds that are appropriate. When they're more or less Burroughsian, I push them in that direction. And, sometimes, out comes a nice little picture. Cochran: How do you work? Here in the living room? Krenkel: Sitting, with a drawing board in my lap, and I'm watching The Doctors or All Our Dead Children,or whatever the title of the stupid soap opera is. I'm off in pixieland somewhere, drawing people riding dinosaurs, watching television all the while. Cochran: Do you watch television a lot? Krenkel:Yeah. I'm hooked on the damn stuff. It breaks up the monotony...there'snothing else going on in this place. I watch it from morning to night,and work around it, with one eye cocked on the television and the other eye on whatever I'm doing. Cochran: Do you have any plans to do any Burroughs artwork in the future? Krenkel:Not unless I'm shotgunned into it in some fashion. I want to get out of doing illustration completely. What I call illustration, what most people call illustration...I never did like it! Cochran: What would you like to do? Krenkel:Pictures. Pictures. Whatever I felt like doing...which might be fantasy,and might involve a Burroughs-type character. But, it's not an illustration, it's a picture. I can think picture, but I'll be damned if I can think illustration. Cochran: What is the difference between a picture and an illustration? Krenkel:This is the sort of thing that drove me out of illustration: Get this:"Seven gorillas, dressed in tuxedos, burst through the door, machine guns blazing. In the corner, the princess crouched, trembling,clutching the Amulet of Thoth to her bosom." The illustrator must: Show Amulet of Thoth. Show girl cringing. Show bosom. Show all seven gorillas as they burst through the door. Show that they are wearing tuxedos and that their machine guns are blazing! Well, screw that! I mean, there are guys who can do this.... I ain't one of them fellows.Good luck. But a picture is an entirely different thing. You sit down with an idea for a figure action. If it works and you're lucky, you draw this great figure and you put a sword in his hand...you see the background as a mist-shrouded land going off in the gloomy distance with a single light glowing in some evil castle. An invisible moon is casting dim light in the foreground. Well, I can do that. But who the hell can do the seven gorillas with machine guns blazing? To hell with the Amulet of Thoth! Get the distinction? Exclusive! Michael Golden Print Part of VIP Pack at Wizard World Chicago! Hi All-- As part of the August grand tour, Eva Ink Artist Group will be headed to Wizard World Chicago this next weekend for some Chicago style hot dogs and one heck of a good convention. Michael Golden will have a print in the exclusive VIP pack as per below, and Texeira, Scott and myself will also be at the show sketching (were applicable.. I don't THINK you want a sketch from me, LOL) and signing our books and various product. Many of our artist and celeb friends will be in attendance as well! It's always a fun show, so we hope to see some of you there. Now, without further digression... more to read below. 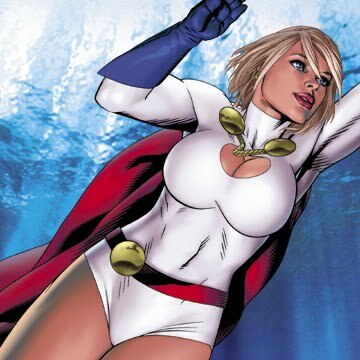 Exclusive Power Girl Print by Michael Golden Part of VIP Package! 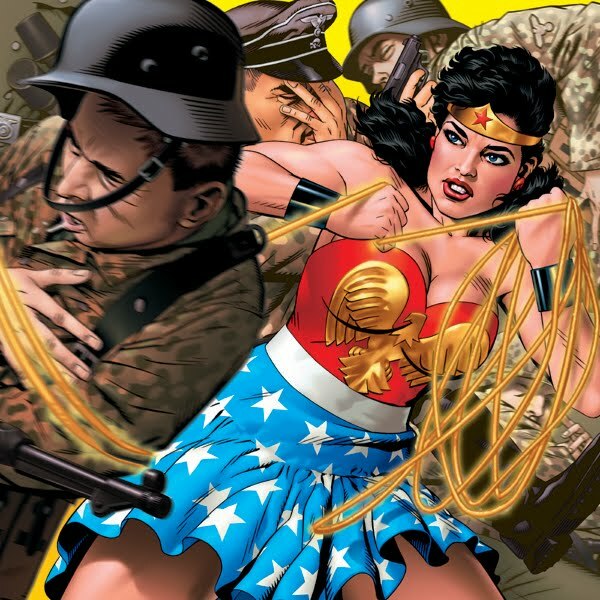 Rosemont-- Exclusives Abound @ Wizard World Chicago Comic Con!And for the first time EVER, Michael Golden's artwork will be featured as part of the VIP Package for the premiere upcoming pop-culture event! Wizard World Chicago Comic Con is the place to be to collect exclusive prints, books, die cast cars, toys and other items, as more than 30 different pieces will be available only at the event, August 19-22 at the Stephens Convention Center in Rosemont, Ill. But this eye-catching Power Girl piece by the co-creator of X-Men's Rogue, is available ONLY as part of the VIP exclusives. And it's certainly no mystery why Mr. G. was picked as part of this special promotion for the show. During his career, Michael Golden has been an editor at DC Comics as well as senior art director at Marvel Comics, and has worked on numerous movie production projects, including some currently in development. His art has been the focus of gallery shows in places as diverse as New York,Gijon and Barcelona, Antwerp and Brussels, and his class onstorytelling has been conducted in Spain, Brussels, Canada, and theUnited States. In addition to his groundbreaking art on titles such as "The 'Nam, "Micronauts," "G.I. Joe Yearbook," "The Avengers," "Batman," and "Dr.Strange," Golden's recent work can be seen on the covers of "Heroes for Hire," "Exiles," "Nightwing," "Uncanny X-Men," "Hulk Team-Up," "Wonder Woman," and "Spiderman 1602," among much more! Books on his work include the recent publications "Excess: The Art of Michael Golden," "Modern Masters: Michael Golden," "Heroes and Villains," and "MORE Heroes and Villains," most of which will be available from Michael in artist's alley while supplies. Currently Texeira is finishing up a Punisher limited series for Marvel Comics, and you no doubt know him from his stunning work on "Ghost Rider," "Moonknight," "Black Panther," "Conan," and much more. Mark will have copies of his books "Babes and Brawn," and "Tex: The Art of Mark Texeira," at the show. Artist Steve Scott recently completed stints on "X-Men Forever," a Green Lantern special project and is currently working on a Batman story at DC Comics as well. At Wizard Chicago, Steve will be offering copies of his new sketchbook, "Steve Scott Sketches," while supplies last, as well as some exclusive prints! This year's WWC also includes an impressive line-up from Hollywood including William Shatner, Linda Hamilton, James Marsters, Adam West,the Final Five Cylons from Battlestar Galactica, Linda Blair, Nicholas Brendon, Clare Kramer, Claudia Christian, Richard Roundtree, Julia Jones and many many more! The line-up from the world of illustration and comics is also pretty amazing, and includes, along with Golden, Texeira and Scott: Joe Madureira, Arthur Suydam, Brian Pulido, J. Scott Campbell, Jim Calafiore, William Christensen of Avatar Press, Bill Sienkiewicz, Greg Horn, Stuart Sayger, Jill Thompson, Billy Tucci, Ethan Van Sciver, Leo Leibelman, James O'Barr, Mike McKone, Geof Darrow, Gary Friedrich, David Mack, Renee Witterstaetter, Mike Grell, and tons more! It can certainly be said that Chicago Comic Con boasts one of the largest Artist Alley in the country! In fact, this amazing event features over 500 special guests and celebrities from the world of comic books, film & television,wrestling, pop culture and more! You will not want to miss out! And don't forget to sign up for the VIP package featuring that fantastic Michael Golden Power Girl print as well! The Mysterious Cult of "Star Wars #38," and SWC5! The Making of a print! While traveling in Europe last year with one of my artists, Michael Golden, we were amused and bewildered to discover that Michael has his own cult. We were staying at a lovely little boutique hotel that I frequent in Paris, near the Seine and Notre Dame, and not too far from my friend's comic shop, where Michael was making an appearance, when one morning we received a call on the lobby phone in the breakfast room while having croissants and fresh squeezed orange juice (which miraculously appeared out of this clever device that looked like a tennis ball pitching machine). The 'bling' 'bling' from the black block with the rotary dial seemed to pierce the otherwise quiet scene I was gazing at -- cobblestone streets drenched with a morning mist, a man walking with a gross of bread from the boulangerie down the street, each crusty bite destined for a sip of wine and piece of cheese...all the patrons with couched unsaid looks, curious as to what could possibly be so urgent at this time of the morning? A voice mysteriously crackled across the line... "Is this Michael Golden." And Michael's reply as always "Why? Does he owe you money?" Of course, as one knows, humor does not always translate. Michael quickly replied "Yes." And we found out that our caller was a reporter with one of the Paris newspapers, and he humbly wanted to do an interview with the visiting artist, Mr. Golden. As the agent, Michael handed the phone to me, I stopped peeling my croissant (I have this weird thing I do of peeling it off in layers, you see), and within hours a dapper little man--seemingly a bit nervous--and his film crew showed up in our eclectic inn's waiting room. Pleasantries were exchanged, introductions made, cafe au lait ordered, and the interview commenced. Up until this time, the rather curt lady who ran our B n' B, mostly typing with a frenzy in a corner by a wine vault cul de sac, really didn't pay us much mind: Just more American tourists, BOTH with pony-tails, perusing the guide books and maps at breakfast each morning before heading out on some adventure, which may have seemed blase to her by this point. I remember that one of the guests mentioned that they were going to take the "DaVinci Code Tour" of Paris, and her disdain was so evident, I think I felt the wave of the whiplash way over in my corner nook. Middle-aged with short blonde-ish hair and ample endowments, I remember how her bosom rose and fell with her intake and outtake of air as if to emphasis her point, while her sculpted hair remained completely in place.... My point being, she did her job, shall we say... with the warmth of a sea captain on a slave ship. I think her name was Nicole. Anyway.... Nicole seemed mesmerised once the reporters appeared, and lavished us with attention. I quickly summed up her type and made a note of it: Dab of the "wanna be actress" dramatics in her. Good to know for future reference. But, in this case it did get our cafe au lait and vin rouge to us very quickly without the usual wait, as she listened in on the conversation. And I found it pretty interesting as well. One really could not have picked a better spot to be talking about art. The cozy reception room of the hotel, centuries old wooden beams overhead, was nailed floor to ceiling with original little paintings, some framed in gilded wood, crackled and dark with age, others simply mounted on a wood form, frayed around the edges, and precariously slanting on rusty hooks. Where there was space in between, little ancient objects, their uses long forgotten in time, dotted the wall. I noticed a few such ceramic bowls with notches cut out on one side and pastoral scenes painted in the crater centers, and wondered the reason for their invention. I was pleased to figure it out myself when I saw one with-- instead of horses or flowers--scissors and a comb of all things, as it's decoration. The now attentive Nicole confirmed my guess that they were for the tonsorial profession. i.e. shaving bowls. Anyway, there's an interview going on! I have to pay attention! Our reporter, dressed oddly like Columbo, had a long list of things to ask the artist, and with the morning free, we were happy to oblige. There's nothing more lovely than sitting near the Seine, drinking coffee, and hearing the bells of Notre Dame, after all. But, as the interview progressed, Michael and I were both rather stunned when the bulk of the questions seemed to be about one issue of Star Wars that Michael drew, Issue #38. Why? Golden's done so much work other than that one comic. Doesn't he want to talk about anything else? Doing his best to be well-rounded, Golden would try to steer the conversation on to current projects, current art books, the current signing tour, even. But again! The reporter seemed to really want to know every nuance of this Star Wars thing! "Why all the interest in Star Wars #38," Golden finally asked in his usual direct way. "Don't you know!!" the nervous reporter replied. Obviously surprised. Our Columbo then proceeded to explain that not only is "Star Wars #38" one of the most popular single issues of a comic in France. But, there is a whole CULT built around it, it seems! Fan clubs, re-enactments, costume clubs, merchandise frenzies no doubt etc. etc. 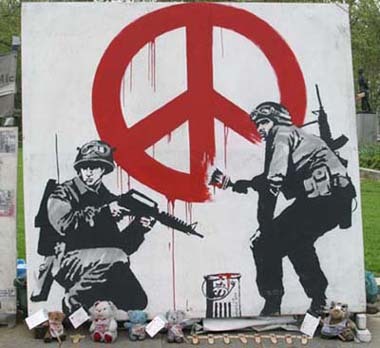 Apparently, except to me AND the artist who drew it, this is widely known. And Michael continued the interview, trying to remember everything about the issue and it's creation that he could, in order to please our patient visitor. So, long story longer, it seemed like a perfect fit this year, when Golden was accepted to take part in Star Wars Celebration 5 in Orlando, Florida. And was also picked as one of only 40 artists to do limited edition prints for the show. Michael choose to do a piece of Aniken on the space scooter (and forgive me if I'm not getting the terminology correct). He wanted to portray the sheer joy of being a kid on such a contraption. Which I think he did very well. I liked the little bit of humor as the villain chasing him has a little mishap (which humbly, was my idea. LOL). The print measures 11x17 on Irish Linen art paper. As for the Star Wars experience: The whole show itself was amazing as well. My friend Ken even showed up in an unbelievable Darth Vader costume that he fabricated himself. The costumes all around were utterly outstanding. Although they tended to be heavy on the Slave Leia's. But what fun! I have a bit of nostalgia myself having seen the first Star Wars movie as a kid and thinking it was the best thing I'd ever seen in my young life! So, the festive atmosphere was great! George Lucas, Mark Hammill, Carey Fischer, etc. were also on the floor, adding to the energy. Disappointingly enough though...I did not however, see any mysterious trench coat clad, derby wearing folk about, lurking in the shadows behind blister packs of Obi-Wan and Yoda, pad in hand,as I half expected. But ya know... Golden DID sign quiet a few of those "Star Wars #38's."